The most successful businesses understand the importance of having a strong social media presence, and know how to harness the power of social media to help their business grow. At Design Engine we understand the importance of social media and want to pass along some of these tips to you. According to Adweek, 71 percent of social media participants say they are more likely to purchase from a brand they follow online. Consumers no longer trust traditional marketing techniques and would rather use social media to determine the business, product or service they want to be using. This gives a lot of power to the consumers, but with the right tools and knowledge we have listed below, your business can use social media to become a better, more efficient business. Customer Engagement: Social media helps businesses communicate with customers like never before. Find out what social media site your customers use the most and engage with them on there frequently. Customer engagement does not only mean promotion of your business, in fact only promoting your own business can result in fewer followers. The point is not to spam your followers, but to make sure your followers remember your business exists. By engaging with your customers, you are showing them how much you value them – make your customers feel important and special. Comments are always posted on social media sites so make sure to respond to them. Victoria’s Secret is one of the best examples of effective customer engagement. Not only do they promote their own products, but also respond to customer comments or complaints. Social media makes it easier to respond to and find a solution to complaints. Keeping your customers happy and feeling special will ensure you are retaining current customers, building lasting relationships, and will continue to gain new customers. Still, the number one influence for consumers remains to be the people they personally know (through reviews and recommendations) so nurturing current customer relationships is the key to bringing in new customers. Social Media Sharing: You need to create content that is interesting and beneficial to your target audience. Give your followers something to share – social media is based on sharing and nothing will grow your company name quite like content that is made for sharing. Every post that is shared has the potential to reach new customers and start new conversations – think about how fast something can spread on social media. For example, the recent February 2015 “Dressgate” viral phenomenon caused the maker of the dress, Roman Originals, to receive a major surge in online traffic and their dress sold out within the first 30 minutes of the business day. Your social media sites can tell people a lot about your company, take advantage of the free press and use it to increase your company’s visibility. Influencer Marketing: People on social media platforms (such as YouTube, Instagram, Twitter, and Facebook) that have massive numbers of followers usually participate in influencer following. Companies will send their products for free or pay money and, in turn, influencers promote the product for said company. Oftentimes influencers are celebrities but can also be bloggers, journalists, businessmen/women and other influential people. 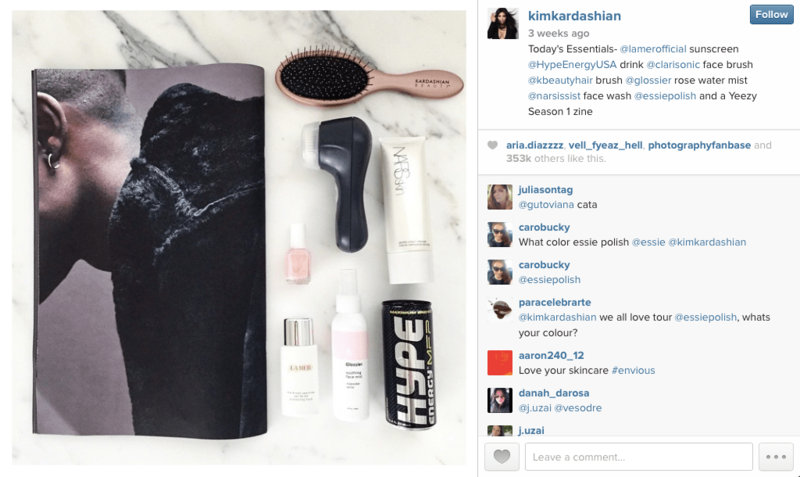 With influencer marketing, it is important to keep in mind your audience– who do you want your product to reach? For example, you would not want to send a health blogger samples of a product that is not all natural or healthy, since their followers would be comprised of other health-conscious individuals. That is the beauty of influencer marketing, it enables you to target a specific audience. According to Nielsen’s latest Global Trust in Advertising report, 70% of consumers trust opinions posted online, and 92% trust recommendations from people they know – these numbers leave very little room for trust in traditional ads. Therefore, followers see influencers as experts in their own respective field and are more likely to be persuaded by them. Keep in mind though, these followers were created over a long period of time and they are very familiar with their influencers – especially with their style of communication. The influencer’s expertise is what their followers trust and followers are more likely to take the influencer’s advice and recommendations for products or services. In order to remain authentic, it is best to leave room for the influencer to choose how to communicate the promotion. Using SEO for Social Media: SEO (Search Engine Optimization) is the process of maximizing the amount of visitors your website gets based on where your site appears in searches on various search engines. Although SEO is another topic in itself (at Design Engine, we offer SEO learning courses), there are several ways you can use social media to increase SEO. Social media helps you engage with current followers and gain new ones – the more followers you have, the higher your SEO will rank. Also, many social media sites allow external links, by linking to other sites you improve your social reputation and in turn improve your SEO. Lastly, include key words in your posts and try to integrate trending topics, this will help push your business to the top of many search engine lists. Note: Social media practices should be, for the most part, free. All of the sites mentioned in this article do not have any sign-up fees and therefore are good for growing business with a small budget for marketing. Although sites such as Facebook do offer paying for advertisements, it is best and less expensive to focus on growing your company name with organic, unpaid posts.